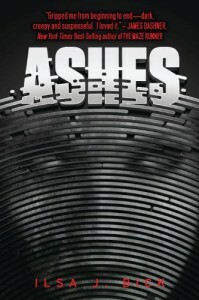 "Ashes" may just be one of the best books I've read this year (right up there with "Divergent"). It's creepy, violent, and incredibly addictive. 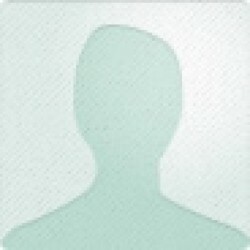 Alex, the seventeen year old main character, has a brain tumor. She's decided that finishing her treatment is useless, so she sets off on a backpacking trip, leaving behind her aunt, as her parents both died. While on her trip, she comes upon an older man traveling with his granddaughter, Ellie, and their dog, Mina. It's while she's with them that the electromagnetic impulse occurs, changing everything in an instant. All of their electronics die, along with the old man who had a pacemaker. Most of Alex's items become useless and she's left with Ellie, the old man's eight year old granddaughter, and their dog, Mina who won't let her near the old man. When she sets out for help, Ellie eventually following behind, they come upon their first victims of the change. It's a horrifying scene, but they manage to get away. Later on, after being chased by dogs, a man who has undergone the change tries to take Ellie, forcing his friend, Tom, to kill him. The three of them set off together, doing their best to keep safe, but keeping safe won't be easy. And this is where I avoid spoilers. "Ashes" is a heart pounding story that will be hard to put down. It's a story about survival, about finding the strength within to keep going. The scenes after the change, they are creepy, and at times disgusting (example: the scene in which Alex and Ellie come upon the teens with the old lady), but you won't be able to stop reading. Bick has created a realistic world and believable characters you'll come to care about. I think Alex is a wonderful character. She's strong, while still fragile. She's far from a pushover and I love that about her. If you enjoyed "The Hunger Games", you'll most likely enjoy "Ashes". I should probably state that there are zombies and there is quite a lot of violence in "Ashes", so it's not for everyone, but it is an excellent start to a trilogy. That cliffhanger though, it's going to drive me nuts.